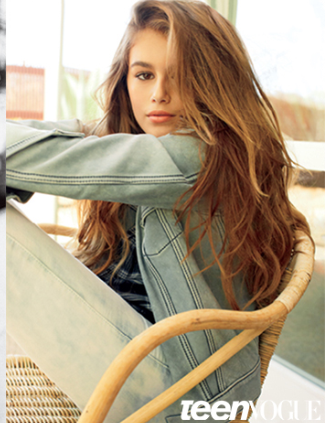 In this month’s Teen Vouge, 13 year old Kaia Gerber appears inside. If you thinks she looks a bit like Cindy Crawford, your right! Kaia’s mom is super model Cindy Crawford and her dad Rande Gerber also modeled before he became a successful businessman. Kaia has previously appeared in a Versace campaign in 2012.